Scottish official Lorraine Watson hopes her presence at Women's Euro 2017 will inspire girls to take up refereeing. Watson, 32, has been selected to be a fourth official at the tournament in the Netherlands, and begins on Sunday's game between Denmark and Belgium. "It's really exciting," she told BBC Scotland from the referees' camp. "If today's youth see a female taking charge of a game or being involved in the officiating then in my opinion they are more likely to do it themselves." 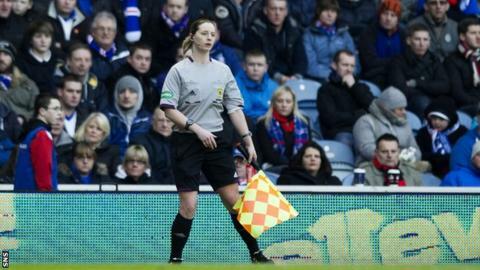 Watson, who got married two weeks ago, made headlines in 2013 when as Lorraine Clark she became the first woman to officiate at Ibrox. She ran the line at Rangers' game against Berwick Rangers in front of 45,000 fans just a week after she refereed a Hill O'Beath match against Bonnyrigg Rose in front of 200 supporters. Her progression has been such that she has since officiated at the Women's Under-19 European Championships and in the Women's Champions League. On her return from the Netherlands she will be able to referee League Two matches as a category one development official. Reflecting on her rise through juvenile, amateur, junior and senior football, she said: "When you start with the youths the expectations are quite high, even though you are just starting out the same as the players. 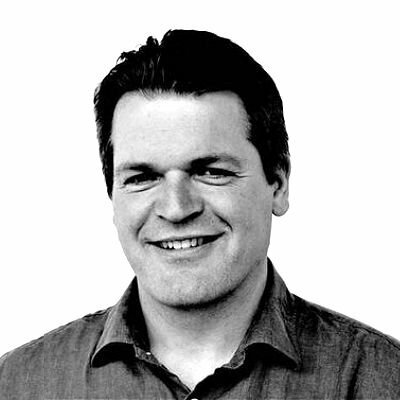 "Some of the parents on the touchline can be quite aggressive. "It's maybe more difficult at that level because it can be quite personal and they are really on top of you. "At least at this level if people are shouting at you from the stands it is just noise in general." The building surveyor from Thornton in Fife praised the Scottish Football Association's referee development scheme, which is led by John Fleming. "You get observed in your games, you get a mark, you get advice, all of our training is monitored," she explained. "It really is a step-by-step process. If you have been appointed to these bigger games you are ready for them. Male or female it doesn't matter - you start at the lowest rank and you work your way up. "I've just been promoted in Scotland. Over the next few months I'm going to be the first female to be refereeing in the men's professional game, so that's going to be a challenge for me and a bit of an eye-opener for some of the public and hopefully I can change some perceptions. "You just have to believe in yourself. It can be quite hard being the first person but hopefully it makes life easier for people coming through." Watson says the Euro 2017 finals are an opportunity for her to mix with and learn from experienced referees from across Europe. "Everyone has their own way of handling things. It is going to be a brilliant experience, working with different nationalities and picking up different tips on how they handle different situations," said Watson, who hopes to referee her first League Two match in the coming months. "If you focus on the things that work for you then you'll get on fine."